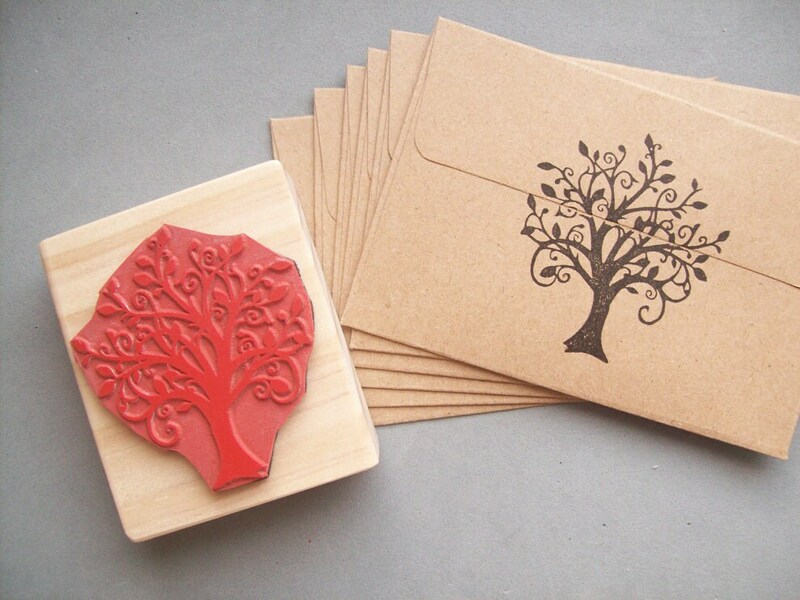 This beautiful tree rubber stamp is made from my own original drawing, complete with swirls and leaves for an elegant, unique look. 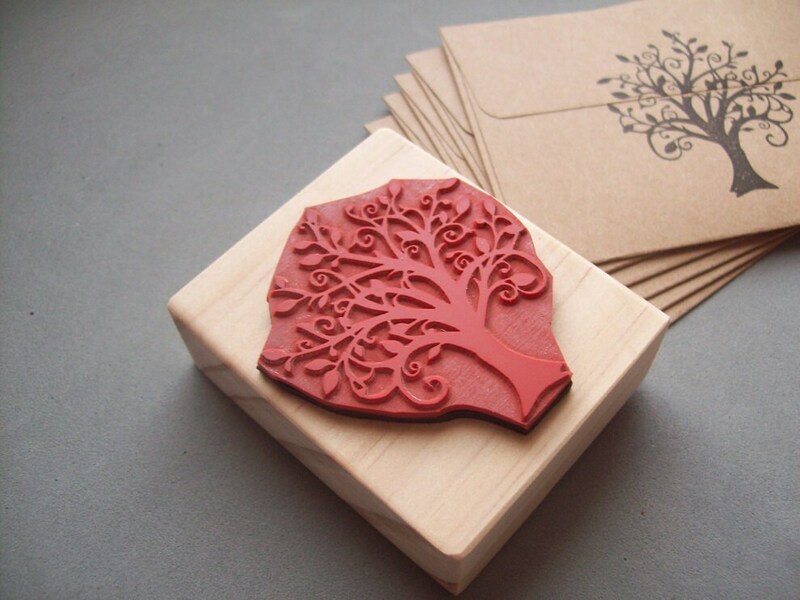 Perfect for embellishing wedding invitations, sealing envelopes, decorating gift bags, stamping on a family album or seed packets, and more! 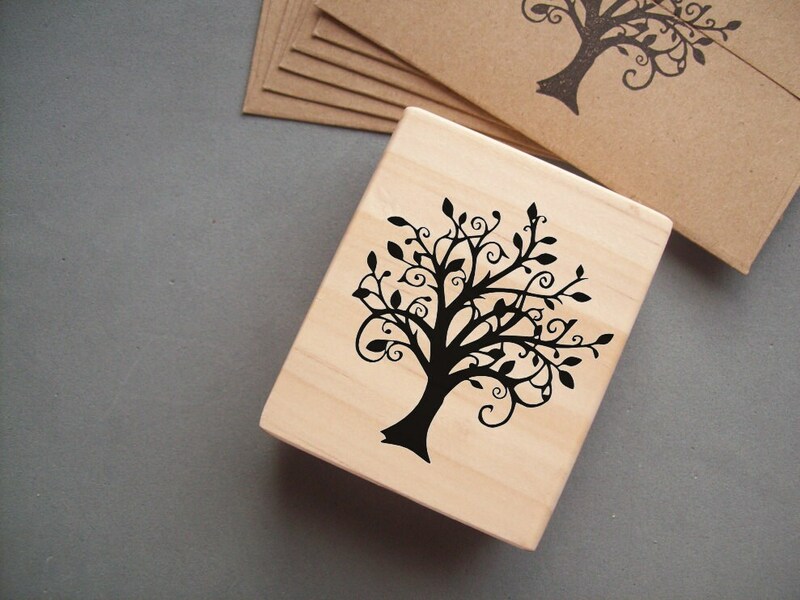 Measurements of imprint: 2 inches high x 1.75 inches wide - Smaller or Larger options are available (see drop down menu to the right). Also feel free to request a custom size!